A series of scattered communities of the Upper Valtellina area, in the province of Sondrio, located in the valley traversed by the river Viola Bormina, the town of Valdidentro played a very important role, being the starting point of the Imperial Way of Alemagna, through the Mount delle Scale, which connect Bormio with the Engadine and Val Monastero. 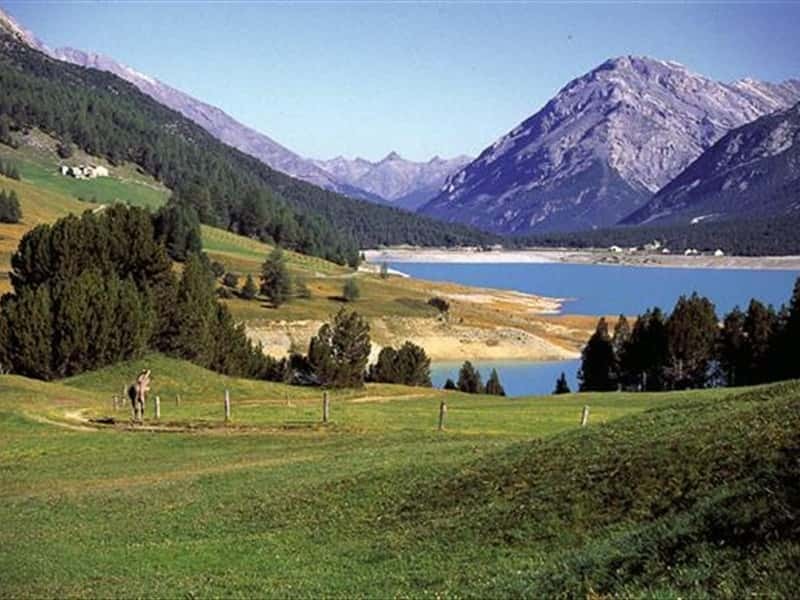 A famous and popular ski resort during the Winter months, it also offers views of incomparable natural beauty, with walks along mountain trails in contact with nature, It features the beneficial treatments of the thermal waters of Bagni Vecchi, known since antiquity, and Bagni Nuovi which are today facilities of the Bagni di Bormio Spa Resort. - the Towers of Fraele, part of the imposing defense system to protect the Bormiense area. This town web page has been visited 20,142 times.